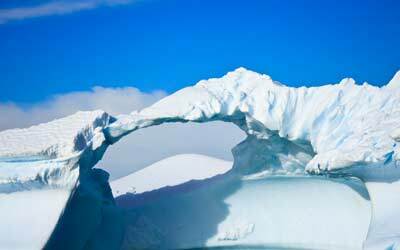 Unbeatable value on this 10-day Antarctic adventure! Fly straight from Punta Arenas to King George Island to get up close with iridescent icebergs, vast colonies of Adelie and gentoo penguins, leopard seals busy with courtship, bustling penguins and maybe feeding whales! 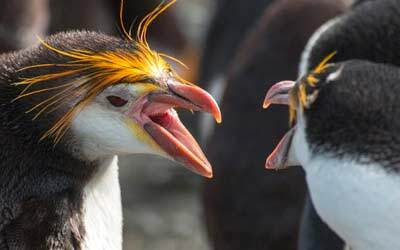 Explore the wildlife-rich Falkland Islands and remote South Georgia before reaching Antarctica on this incredible voyage coupled with the once in a lifetime opportunity to be on a vessel positioned directly under the path of the eclipse. Explore the very best of Antarctica with Sean Scott - one of Australia’s leading landscape and wildlife photographers. A voyage of discovery to our planet's last frontier, the mysterious and pristine paradise of the seventh continent. Discover cosmopolitan Buenos Aires after a 10-day Antarctic expedition with like-minded women! 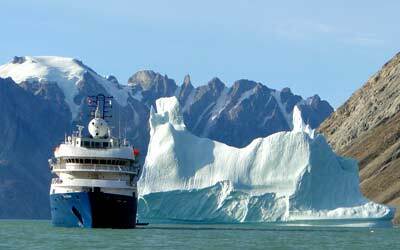 Ocean Adventurer: Antarctic Express - Peninsula in Depth 20% Off! 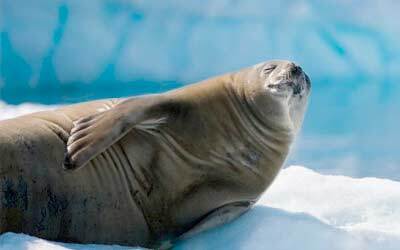 RCGS Resolute: Marine Mammals of Antarctica US$1200 Credit! The Classic Antarctic destination. Cruising along the Antarctic Peninsula you will be thrilled by penguins, sea lions, whales, seals and a variety of seabirds along with the physical beauty of the area and its abundant glaciers, icebergs, pristine channels and towering mountain ranges. If you’re keen to visit Antarctica but aren’t so eager to spend too much time on a boat, then this is your ideal alternative. On these trips, you’ll bypass the crossing of the legendary Drake Passage and instead delve straight into the wonders of the Antarctic Peninsula. Cruises typically depart from either Hobart in Australia or Invercargill in New Zealand and focus on either the Commonwealth Bay area or the Ross Sea. Wildlife is at its most abundant and it is here where you'll find the relics of the ‘heroic period’ of Antarctic exploration. The most remarkable physical attribute of the Weddell Sea region are the colossal icebergs which dominate the landscape. 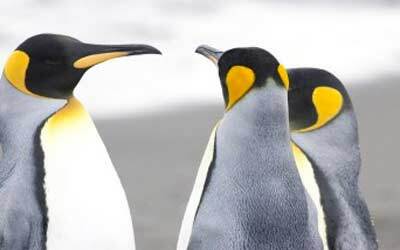 Whilst here you will also enjoy excellent seal, whale and penguin encounters – you may even be fortunate enough to meet the elusive Emperor Penguin. Antarctic Specials, sales and deals. Act fast, these deals don't last long and are for a limited time only. Antarctica is often considered the ultimate travel destination for travelers and there are few ways better than Antarctica Cruises to check this off your must-do holiday list. Many consider Antarctic Tours as exploring the last frontier and Antarctica Travel as the penultimate in travel experiences. Travel to the end of the Earth and explore the vast wilderness of the great white continent on one of our many incredible Antarctica Travel Expeditions. Travellers are invited to join us on a small ship luxury Antarctica cruise as we explore the planet’s most remote continent with its unspoilt, awe-inspiring scenery and incredible wildlife encounters. 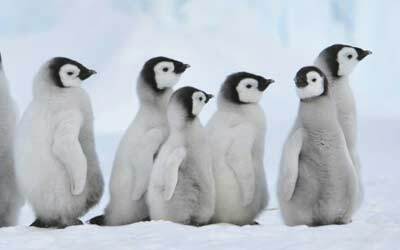 Antarctica is the fifth largest, the coldest and the driest continent on Earth. 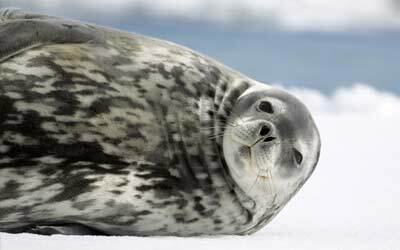 Antarctica Tours not only offer travellers the amazing opportunity to observe the abundance of wildlife it has to offer from the comfort of their expedition vessel, but also to gain inspirational insights from a dedicated and knowledgeable crew who spend their working lives traversing the icy ends of the globe. This is truly the very height of exciting travel and adventure holidays. Add the great, white continent to your travel itinerary and see for yourself what the most remote destination on the planet can offer you. The Antarctica Cruise season runs from November to March each year – with the months of November and March generally having the cheaper cruises, and December to mid-February being the peak season. Each month really offers its unique advantages. Cruises depart from South America or New Zealand. The voyage from South America is the more affordable and popular departure option having considerably less sea days, but the New Zealand option offers an opportunity to see the sub-Antarctic islands crossing the Ross Sea and witness the amazing King and Emperor Penguins. Choose from our range of fascinating trips or contact us and we’ll be happy to tailor the perfect itinerary to suit your requirements.